The cool bunch of guys at Applied Acoustics Systems partnered us in December 2015 with their sound bank Angelicals. 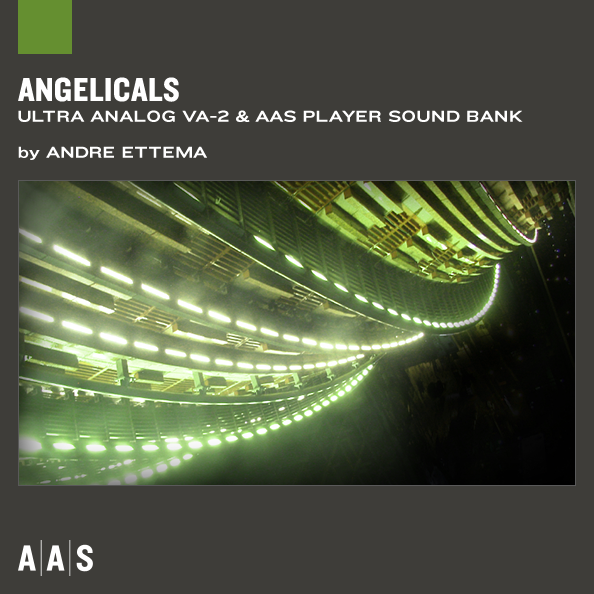 Highly inspired by the work of Vangelis and Jean-Michel Jarre, Angelicals sample pack is a retro-futuristic flashback in progressive and experimental electronic music. The 101 presets, divided into Arpeggios, Bass, Effects, Leads, Loops, Pads, and Synth categories, provide everything you need to dive right into the dramatic tension and enigmatic realms of sci-fi and thriller sounds. Applied Acoustics Systems was founded in 1998 and is based in Montreal, Canada. It is a privately-held company, specializing in innovative audio products & sample packs for Mac and PC computers. Applied Acoustics Systems flagship product, the Tassman, a software-synthesizer program for amateur and professional musicians, as well as audio post-producers, is distributed worldwide through retail, direct and Internet sales.